Communications in project teams should always be the most simple they can to convey the intended message. Simplicity in messages is very important, the messages need to be clear, concise and focused on the subject matter. At the same time however, team communications must be culturally sensitive and appropriate and, should be used to build and maintain communities of work and communities of practice as well as to ensure schedule and quality compliance. Despite this need for simplicity, complexity always creeps in. Messages all too frequently become crowded in technical jargon, are written in management speak and rather than serve to build communities, frequently often build barriers and walls between personnel, through unnecessary use of language that alienates the readers, the very same readers the messages are often intended to reach out to. As organisations and projects become increasingly global in reach and complex in structure, simplicity of communication seems to have become harder for many to achieve. Yet this communication is the glue that binds teams together and helps them coordinate their work across corporate, cultural and geographic boundaries. Following are some of our tips for avoiding complexity in virtual team communications. Use simple language in all communications – For many working in projects, particularly those of a complex technical nature, it is easy to fall into a mode of communication that uses a lot of highly technical jargon. In some areas and in some communication, this use of jargon is fine and appropriate, but, when used in more open, broadcast style messaging, such as regular team updates, jargon serves only to alienate personnel. Using simple language allows more team members to see the messages clearly, to read and understand the words and the context and not to feel they are being “talked down to” in the messages. 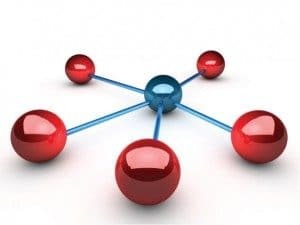 Use a common platform for all communications – With the vast array of communications technologies available to modern projects it can be tempting to use a multitude of different tools when communicating to your team. Research has however shown that simplicity beats complexity here every time. Using just a few platforms for your communications is far more effective than trying to use them all. Our recommendation is that you use a project webpage for regular updates and messages that are not time sensitive, email or an email like system such as Slack for team communication. Audio, such as telephone or Skype style VOIP audio, should be used for verbal discussions, video should be used for meetings of virtual teams where available, and then video or audio webcasts and podcasts for project updates. Twitter and similar tools can be used but should be considered as extra and avoided for day to day messaging. There is also some useful suggestions for selecting tools for your team on an article from Cloudwards which is worth reading. Work to maintain cultural sensitivity in communications – All messages in virtual team environments need to be culturally sensitive. Messages need to consider the needs and expectations of all of the team members who may be exposed to them, whether directly or indirectly. Senders of messages must consider the various cultural requirements of their team mates, how they will perceive the message and what the likely reactions and responses will be. If a message is not culturally sensitive it runs the risk of alienating team members and damaging both trust and relationships. Avoid communications that impact on non work time – When working across multiple timezones it is easy to forget that some of your colleagues may be leaving work just as you are arriving, or that they may be half way through their day when you are starting yours. Everyone on your project deserves the opportunity to rest and spend time with their families, rest and social interaction make them more rounded and happy workers and colleagues. As such, whenever planning your communications, it is important to be considerate of time differences and where possible arrange verbal discussions at times that allow everyone to participate at or close to their normal working day. Sometimes this is impossible and meetings need to be held at unsociable hours for some, but this is not always the case, they can be rescheduled, restructured or held offline. Avoid jargon and business speak – business speak and jargon have their place in any organisation. In technical “in groups” the use of technical jargon is a form of shorthand that allows team members to communicate efficiently. Similarly in business leadership environments some terms and abbreviations such as EBITA etc. are necessary and valuable. However, communicators need to understand the context of their message and its audience, a shop floor employee is unlikely to be as interested in the Earnings Before Interest Tax and Amortisation (EBITA) as they are about the status of their current project and where their next project is coming from. So try where possible to keep messages jargon free and only use the business speak where it is appropriate. Keep communications to a single message – Long form communications need to be carefully considered, particularly when writing emails intended for broad readership. This is especially the case when sending emails that may have multiple subjects, messages get forwarded, resent, replied and circulated outside of the original recipient group, spreading the content far and wide. It is therefore important to keep to a single message on each email so that communications can remain on point and focussed. If you need to discuss multiple issues, it is often worth writing a separate email for each, that way you can file them appropriately, retrieve filed messages easier and know when discussions are concluded. It is also worth considering the form and structure of your emails, emails are read in a different way to more traditional forms of written communications, the message needs to be easy to discern in the first couple of lines. Avoid copying in unnecessary numbers of recipients – Everyone you cc on an email will have then to decide what to do with your correspondence, read it, file it, reply to it, forward it or delete it. Every transaction like this takes time and costs money, but beyond the financial cost there is also a relationship cost that is often not considered. If a colleague regularly receives unnecessary emails from you they will eventually become immune to your messages and may begin not just to ignore your email but also to ignore you. Focussed message circulation is both efficient and supportive of relationship building. Do you have experiences with building simplicity into virtual team communications, or have you experienced issues in a team you have been a part of you would like to share? If so, we would love to hear from you.